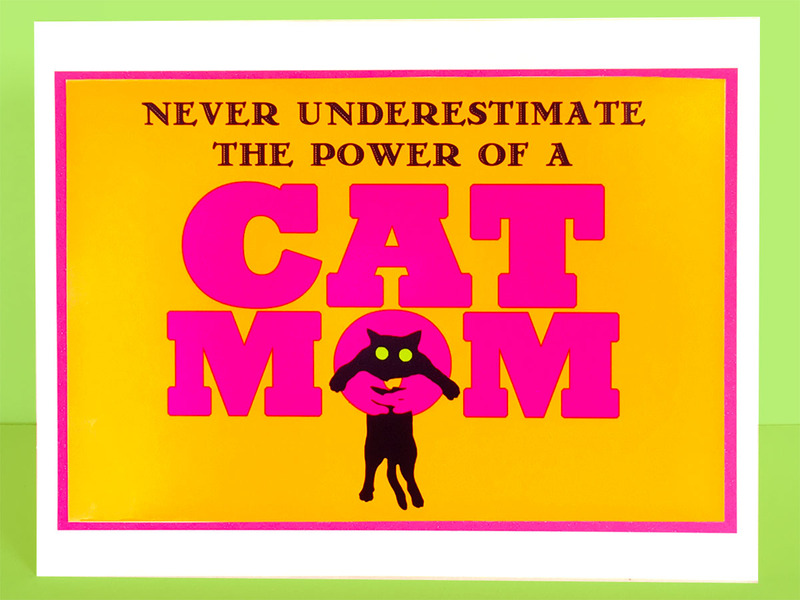 Never Underestimate the Power of a CAT MOM card. 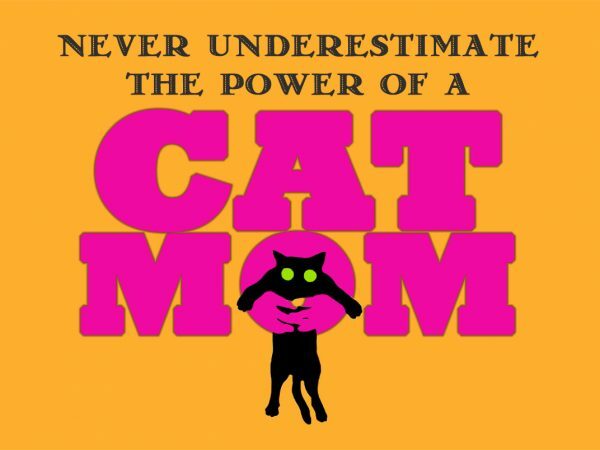 Power to your cat mom! 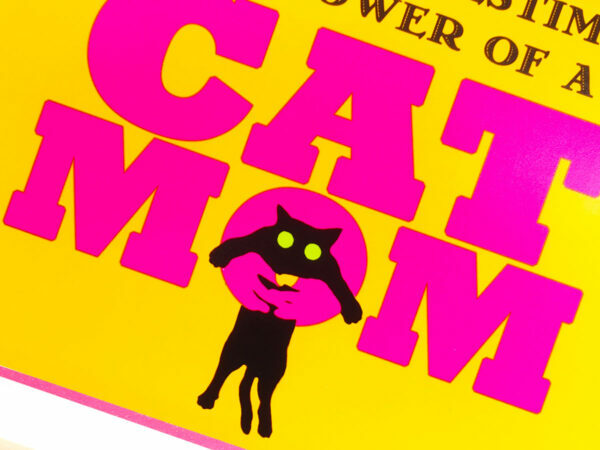 Go big and bold with this greeting card celebrating the cat moms of the world. 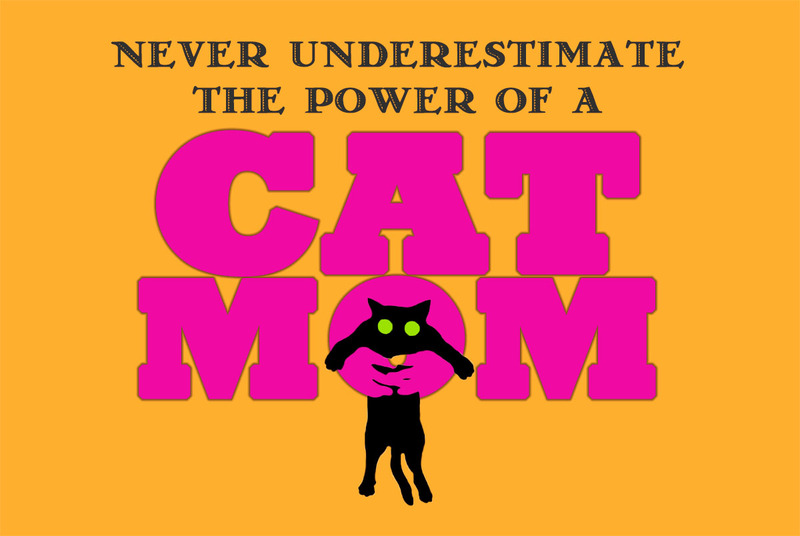 In the hands of a cat mom, life is full of cuddling and caring. Nothing stands in her way! 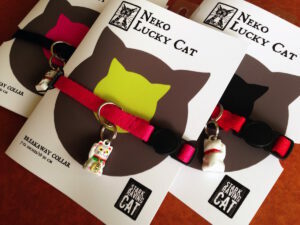 The actual colors are a vibrant hot pink, on a brilliant golden orange background – with piercing neon green eyes on the cat silhouette. Blank inside, and purrfect for any celebration. 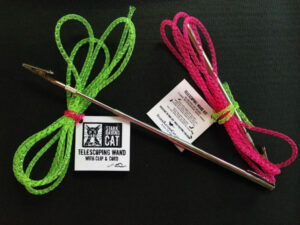 Send it as a Mother’s Day card, birthday card, or just to say “we love you, mom.” Handmade, and our own original design. 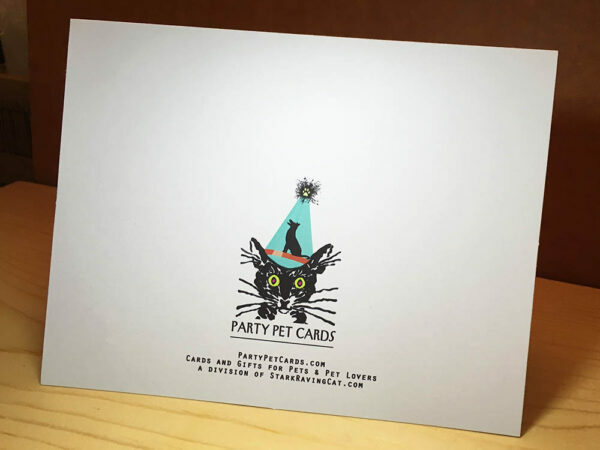 It’s printed in-house on high-quality photo paper and layered onto a folded card. 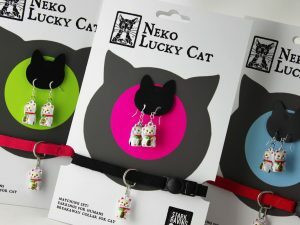 My mom (Alma Shon) designed the exclusive gift packaging for Neiman Marcus for 30 years. In the 1960s, she designed a wrapping paper that repeated “Never underestimate the power of a woman” in neon pink and orange; a neckerchief with the same slogan was tied to the gift. It was an immediate hit. 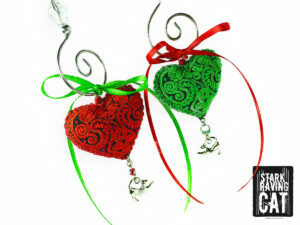 The slogan itself has been around for decades, and was adopted by Ladies Home Journal in 1946.